NAREB has a special charge to make sure that predominantly African American and other minority communities are treated fairly as land use and urban planning policies are developed. More often than not, NAREB Realtists live in communities we serve. We see it as our special obligation to preserve, and now, to restore communities where African American homebuyers and homeowners count on their home being their greatest asset – now and into the future. 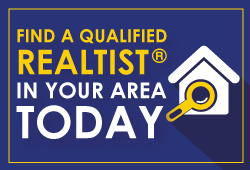 Realtists service the home buying needs of African Americans and others through our 90-chapter network located in 33 states. Network with the appraisers, developers, financial services professional, asset managers, housing counselors, mortgage brokers, real estate agents and brokers all working together to make homeownership affordable, sustainable and attainable for our nation’s homebuyers.